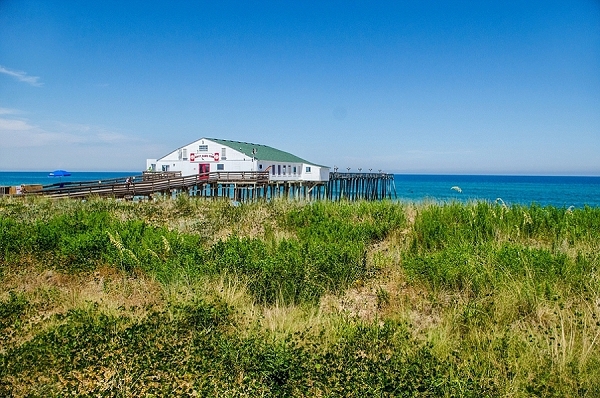 For many of us locals, the beaches of the Outer Banks are our happy place – the perfect getaway from the busyness of our daily lives. 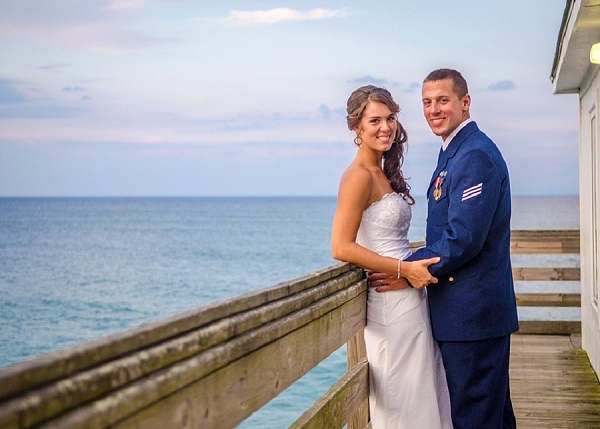 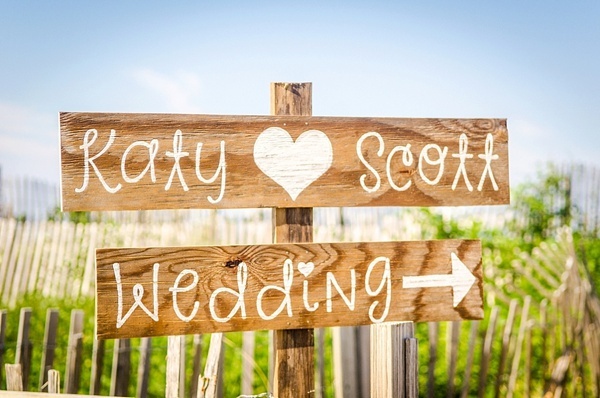 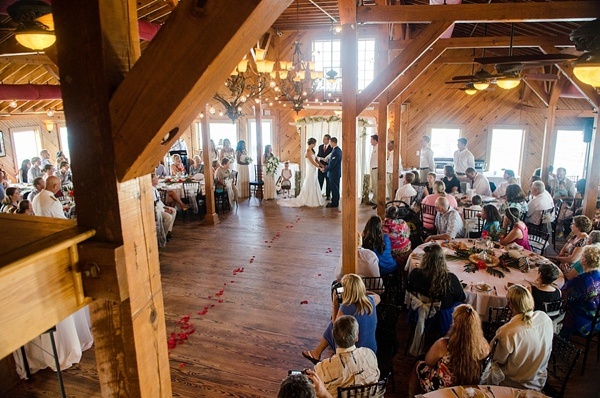 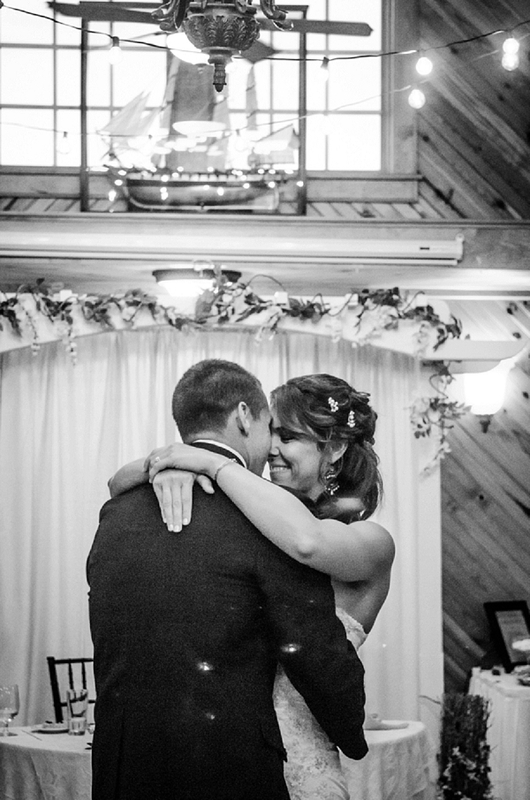 And that was the very same for Katy and Scott, and why they chose their perfect serene location at the Hilton Garden Inn Outer Banks. 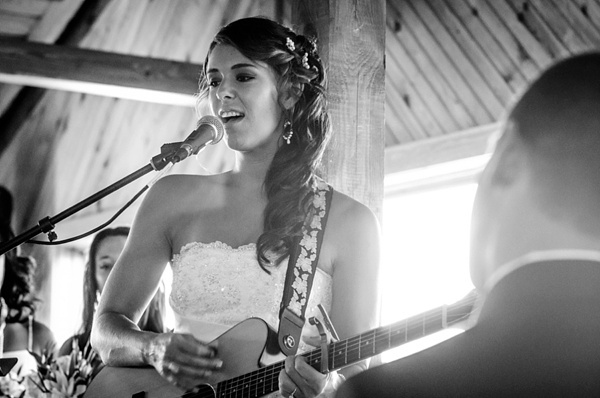 They incorporated the sweetest touches into their day, but our favorite moment has to be when the bride, a Nashville recording artist, picked up the guitar during the wedding ceremony to sing to her groom. 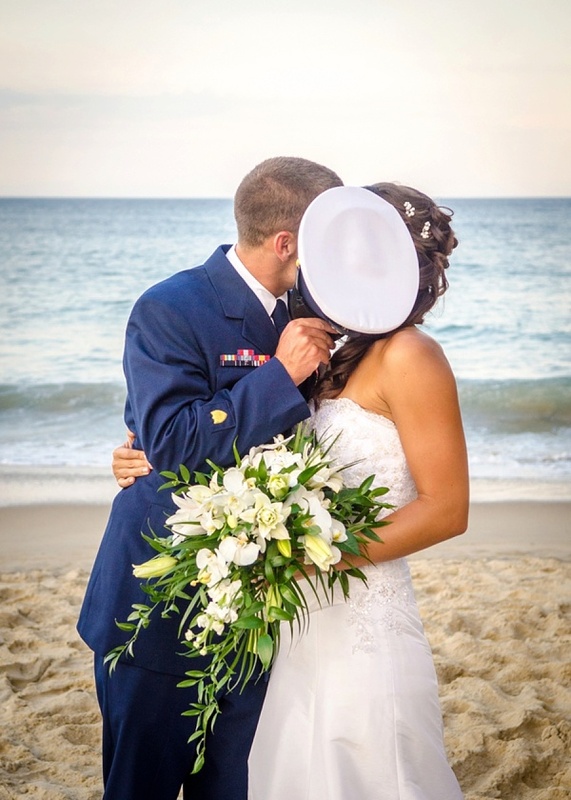 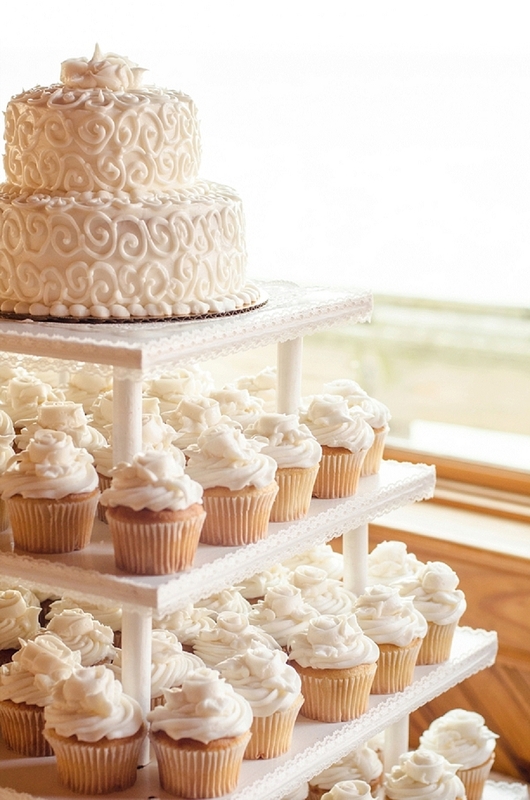 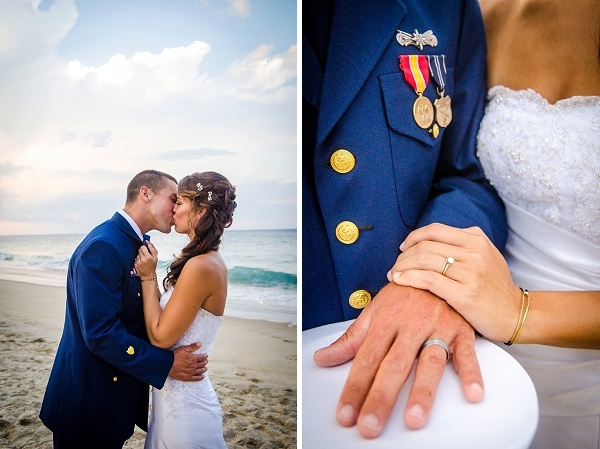 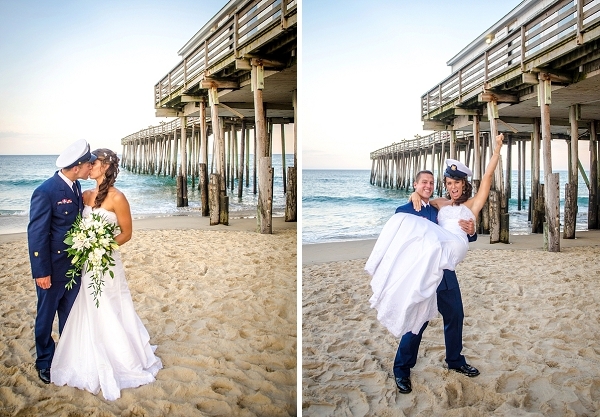 Caroline Martin Creative captured the perfect blend of elements from this military Kitty Hawk wedding to create a memorable gallery of the day. 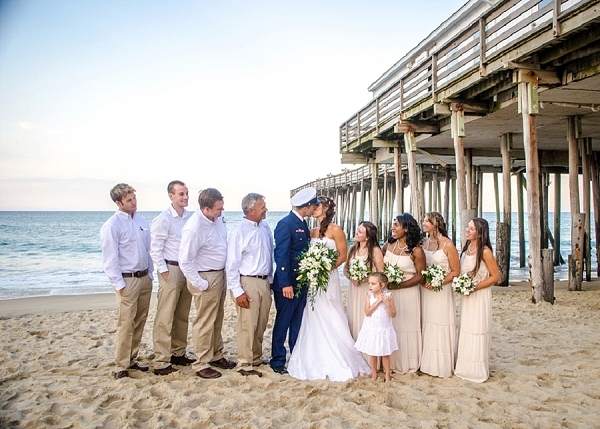 With beachy vibes, tropical rustic decor, and flowy bohemian bridesmaid dresses, Katy and Scott's wedding makes us swoon for all things oceanside celebration... especially when some handsome uniforms are involved!